If you use either a self-hosted WordPress or a WordPress.com site for your blog, you can do it. You can make your ebooks freely available. But how many readers are going to get excited about reading an ebook in .pdf format in web browsers? Very few, or more likely, none at all. Ebook readers who find a source of free books, such as public domain titles on Project Gutenberg, want to be able to download and read an ebook on their preferred device, and without any fuss or bother. To accommodate this need, you really have to offer your free ebooks in both .epub and .mobi formats. However, WordPress will not allow you to upload .epub and .mobi files to the media library. So what’s the solution to make your ebooks available? Firstly, you will obviously need your .epub and .mobi ebook files. You can create your files by converting your Word files to ebooks files. You can also download your files directly from your self-publishing platform. 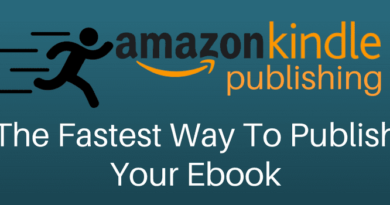 Here is a quick tutorial on how to download your ebook files from KDP, Draft2Digital and Smashwords. See point number 10. It will take you less than fifteen minutes to do this, and it is extremely easy. Step one. You need to install a specialised download plugin and install it on your site. There are a wide variety of plugins available, but my recommendation is to install WordPress Download Manager. I have used this free plugin for many years and it works perfectly. Once you have installed and activated the plugin, you are ready to set up your first ebook. Go to the new Download tab on the left of your WordPress Dashboard. 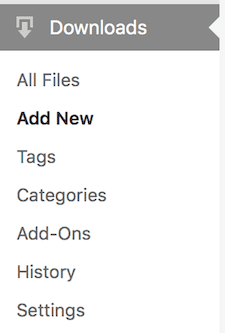 Select Add New, and you will see the familiar WordPress Editor. But you will not be publishing a new post from here. You will only be creating the necessary ebook download details that you will then be able to insert into a blog post. Complete the details as in the image below. 1. Type the title, author and any other identifying details you would like a reader to see. 2. Upload you .epub or .mobi file. Once it is uploaded successfully, you will see it confirmed next to the big red delete button. 3. You can add any other notes you like here, but they won’t be visible. The only other step is to select an icon for your download. Scroll down below the editor and you will see a box called Package Setting. Select the Icons tab and then your icon. Now click Publish. You are almost there! Look again on the left of your Dashboard for Downloads and this time, click on All Files. You will see your new ebook download file. Click on the Short-code field and copy the code. Now paste the shortcode anywhere you like on your blog. You can paste in either the Visual or Text editor. You might also want to write a new call to action text above your download link to encourage people to click your new link. Now, update your post, and that’s it! Repeat the steps above to create a .mobi version as well so you can offer your free books online for Kindle readers. 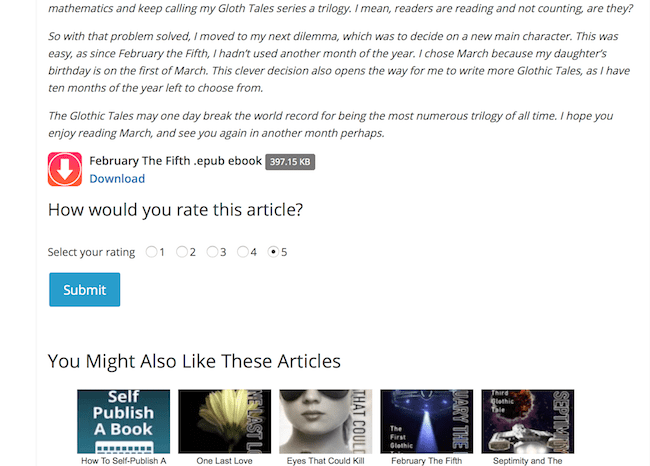 Now blog visitors will just have to click the new link once and the ebook will download automatically. You can keep track of the number of downloads in your plugin dashboard. There are a lot more options available with this plugin. You might want to try some of them. But for the purposes of this post, I have only given the basic instructions needed to create a simple ebook download. However, you could use the same process for audio books. Why would you want to make your books free? There are many reasons to offer free ebooks including gaining book reviews, finding new readers, promoting backlist titles or increasing series book sales with a first in the series offer. These reasons are often why many authors chose to use KDP Select because it offers five days of free Kindle ebooks promotion every three months. However, you need to grant exclusivity to be able to use it, and it is a bit of a wish and hope scattergun approach. But by offering your ebooks on your blog for free you have a much better chance of finding new readers who are more likely to download your great book and more importantly, READ IT. This is because they visit your blog for a reason. Maybe from one of your social media posts, a Facebook or Twitter share from friends, or from Google Search. By any of these means, you have someone who is a more engaged reader, and who is more likely to be interested in your books. The other advantage of using this technique is that you are in total control and you can offer your ebooks for as long as you wish. If you want to stop, just delete the shortcode link. Alternatively, you might want to experiment and add your links to a number of your posts to see which ones work best for you. You could also try offering different books and see which ones are the most popular titles. The biggest advantage is that you are in total control of your free ebooks online, and you are not restricted to five days in ninety or by an exclusivity agreement. Can I sell my ebooks using this method? Yes, you can. But in my experience, selling ebooks from my author site has never been a great success. If you want to try, however, there are two ways I would suggest. One option is that you can pay for a premium add-on for WordPress Download Manager, which I have used in this post. It has many payment add-on options including Paypal of course. The second option is to use a plugin called Easy Digital Downloads. The free version offers basic Paypal and Amazon payments. 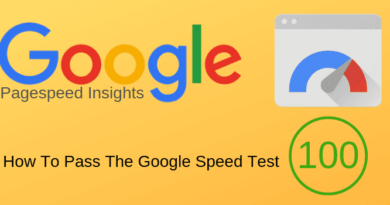 I have not tried this plugin, so please test it carefully as I have read both positive and negative reviews about this plugin. Excellent article. I’ve used all the plugins mentioned, including one that offers payment using Bitcoin and other crypto currencies. Easy and neat. A Word file is not an ebook file. So it can’t be loaded onto a Kindle or for an iPad reading app. Only epub and mobi files work. If you make a book available for free on your WordPress site, does that mean you’re effectively making it perma-free (through price matching) on Amazon? You were informative & thorough on the wordpress handling. Thanks! Sadly a lot of people make it their parasitary pseudo-business to milk upstart authors for money. Similar on paid aka bribed aka fake reviews making anyone a 5-star before ever reaching bestseller league for real. Signs of the times I would lament. I learned not to pay services before money is earned. but that is rock-bottom wisdom. Nice. So what if you don’t use WordPress? I don’t know of any other blogging platform that can do this, Robert. A self-hosted WordPress site offers a lot of advantages over other platforms. Thank you! I was looking for this exact information so I could add chapter excerpts and other promo downloads on my author site. You knocked it out of the park! Glad it helped, Tara. Good luck with it.